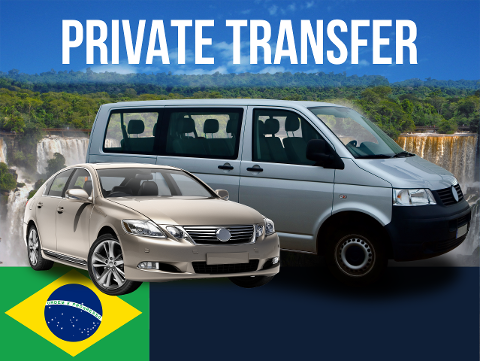 Airport Transfer for Foz do Iguacu (IGU) only! 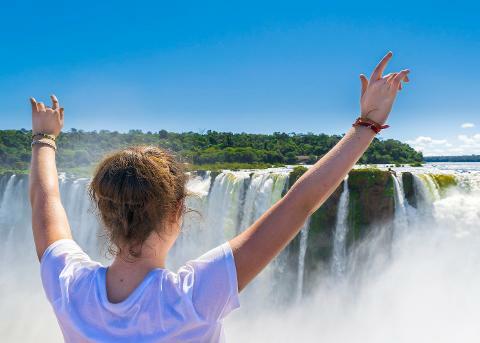 This package if you plan to stay in Foz do Iguacu (Brazil), and require roundtrip airport transfers, plus transport to see the Brazilian Side of the falls. You will also treat yourself to the thrill of a speedboat ride which also allows you to see the falls from the river, as well as a helicopter ride to see them from above. Hotel to Airport (Private Transfer). Your visit to the Brazilian Side of the falls is made in a private vehicle, which means your pick up time can be set to suit your schedule. You will be dropped off at the entrance to the national park, where you set the time and place for your return transfer directly with your driver. Once you enter the park there are free buses that take you to the start of the trails where you view the falls. These same buses return you to the entrance. The park is open from between the hours of 09:00 am & 18:00 pm. If you walk quickly, you can see the falls in a minimum of 2.5 hours. To visit the falls at a comfortable pace you need at least 3 hours. The Boat under the falls is located inside the park and takes around 2 hours to complete (longer waiting times during national holidays). The Helicopter located near the entrance takes around an 1 hour. The flight only takes 10 minutes, but there is often waiting time. If you want to do the Brazilian Bird Park located near the entrance, calculate about 1.5 hours more. 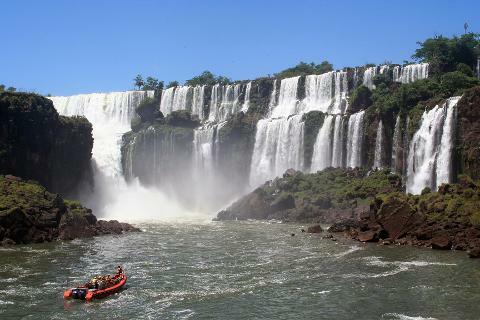 While you visit the greatest falls in the world, you will also take a boat ride on the Iguazu river and see them from below. Not only will you get a different perspective of the falls, you experience an open-air drive through the lush jungle to the river, and the thrill of a speedboat on rapids. Getting wet is compulsory, but you can rent lockers to store your belongings and a change of clothes if you require. Your driver will supply you with the voucher, and allow extra time for you to complete the boat ride. Activity takes place inside the park and usually takes 2 hours to complete. Departures are every 15 minutes between 9:00am & 17:30pm. Imagine seeing one of the world's most spectacular natural wonders from above. You begin the helicopter ride from close to the entrance of the national park, and quickly get a bird's eye view of the falls in all its glory. Your driver will show you where the helicopter takes off, and give you a voucher for the activity, plus allow you extra time to complete the activity. Once you arrive to the helicopter office, you wait in line for your turn and it is first come, first ride. The flight itself is up to 10 minutes in duration. Your flight will be at a convenient time during your stay. Operating hours are between 09:00am & 17:30pm. Frequency: You may start this transport combo on any day of the week. Airport Reception: Pickup / Drop-off at the Foz do Iguacu (IGU) airport only! Our representative will be waiting with a sign as you exit the baggage area. Accommodation Drop Off Area: Locations within the city limits of Foz do Iguacu. 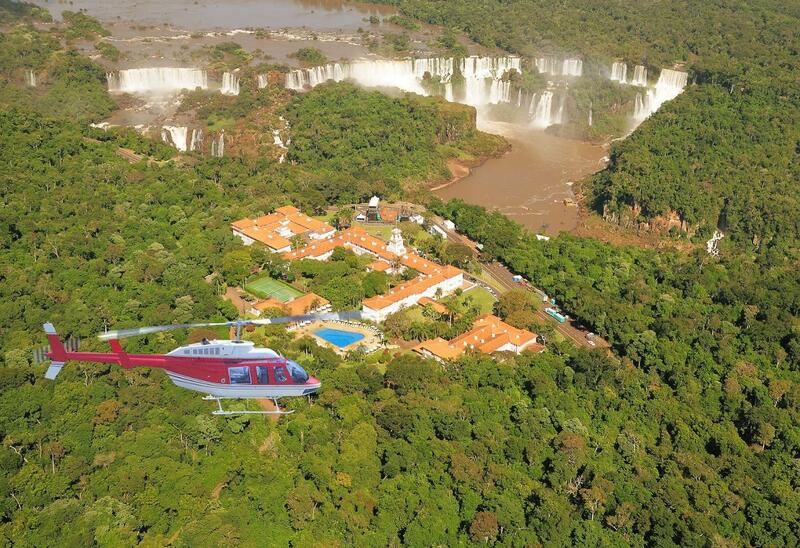 If staying at the Belmond Das Cataratas Hotel, there is an extra charge you must add on the next page. Emergency Contact: We will send you phone numbers, email and WhatsApp details to stay connected. Guide: No guide accompanies you at the falls. It is possible to add an English speaking guide to your reservation on the next page. Pit-Stops: All services are non-stop transfers. Any stops on the way need prior permission (please contact us), or add one of our pit stops on the following page. Are you only staying 1 night? Do you have enough time for this combo? Ideally, you will have 2 nights in Foz do Iguacu, and make your visit to the Brazilian side of the falls on the second day, but it is also possible to do if you only have 1 night. 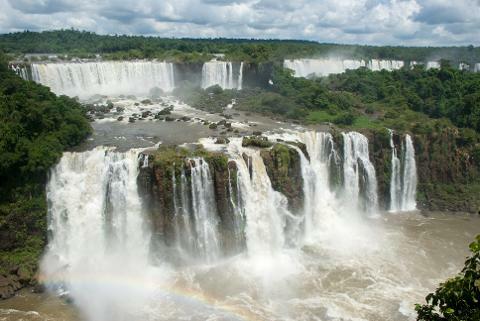 If you only have 1 night in Foz do Iguacu, to visit the Brazilian side of the falls + the boat trip + helicopter ride, you must have at least 6hrs available between the hours of 09:00 am & 18:00 pm on either the day you arrive or the day you depart. While making your booking you will be asked which day you would want to visit the falls. Choose 1st Day if you want to visit the falls on the day you arrive, or 2nd Day if you want to visit them the next day. 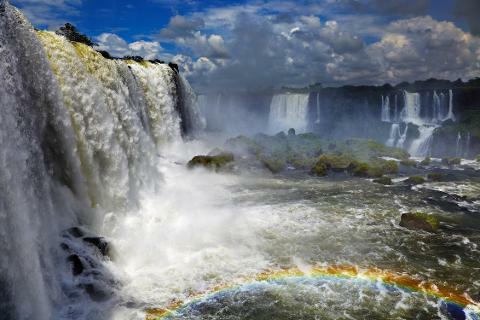 1st Day - if you choose this day, your flight needs to arrive before 11:30 pm to have time at the Brazilian falls. 2nd Day - if you choose this day, your flight departure should be no earlier than 15:30 pm. This is counting on a check in at 14:30 pm. If you are having trouble with the timing of the package, do not worry, we will help you plan your stay after you make your booking. Or contact us before for more information. Vehicles are no older than 5 years and are insured against damages to the passenger regardless of whether in Brazil, Argentina or Paraguay. Drivers hold credentials from the Sest Senat training school in Foz do Iguaçu. Baggage Allowance: 4 standard sized principal suitcases or backpacks + 4 small carry on items able to fit at your feet if you are a group of 4. If you plan to travel with more luggage than the allowance, then contract the van transfer for 5 passengers instead. Baggage Allowance: 12 standard sized principal suitcases or backpacks + 12 small carry on items able to fit at your feet if you are a group of 12. Contact us before booking if you plan to travel with more luggage than the allowance.